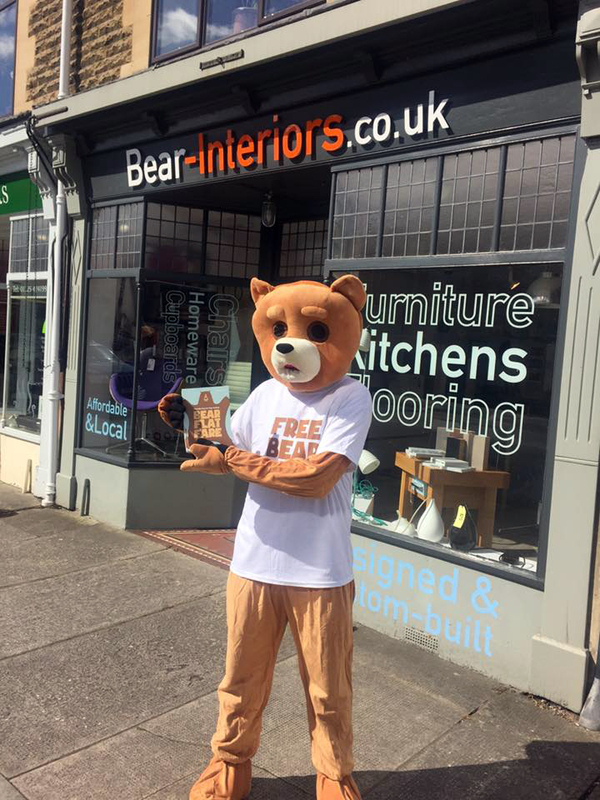 Bear Flat is a popular shopping area in Bath, a short walk from the centre of town but with a massive hill to negotiate. 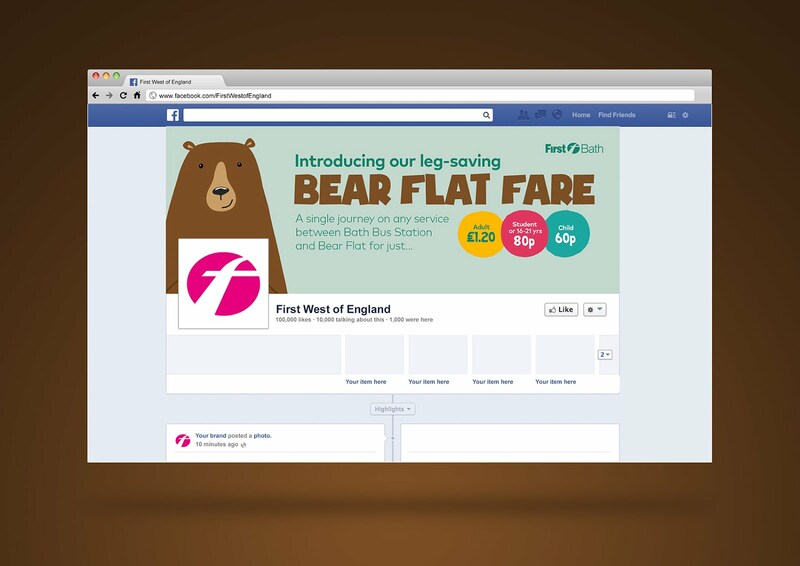 First wanted to take advantage of this, and try to help save people's legs from having to walk up the big hill. 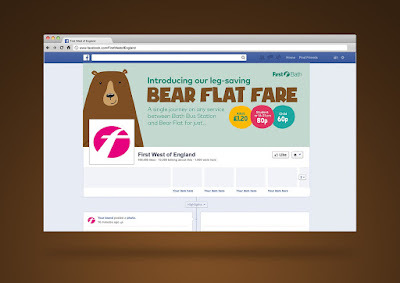 So they approached us to help brand and launch a new flat bus fare. 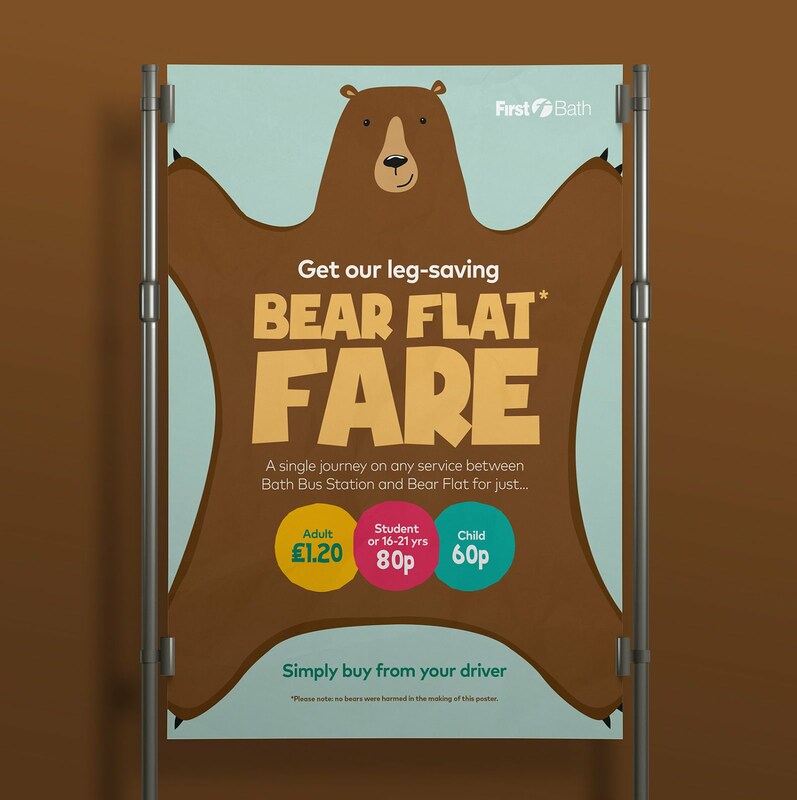 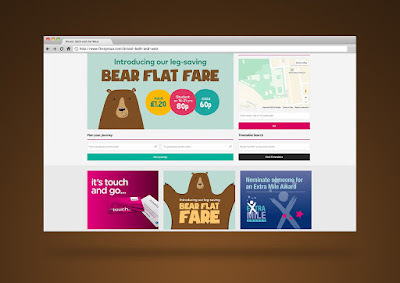 Just £1.20 gets you a single journey on any service between Bath Bus Station and Bear Flat. 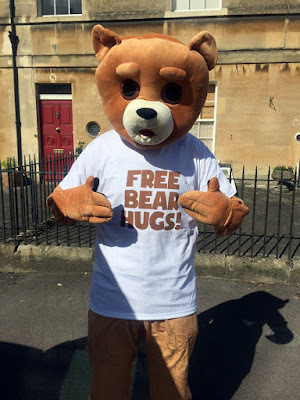 But what could we call it? 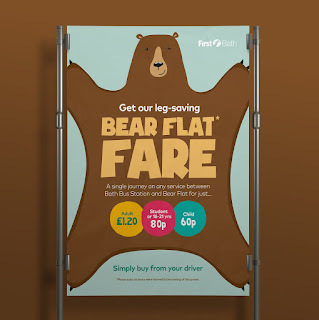 Well, the Bear Flat Fare of course! 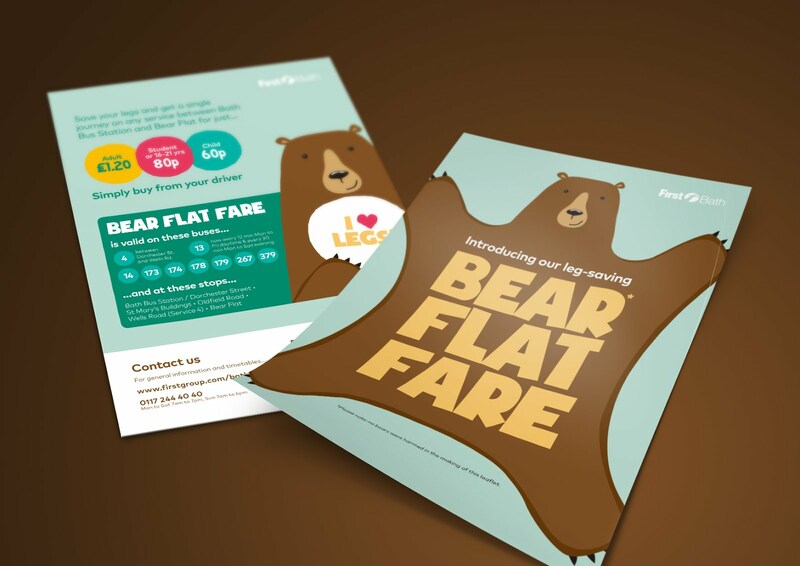 We then set about creating a fun, friendly campaign including a mascot - Barry the flat bear. 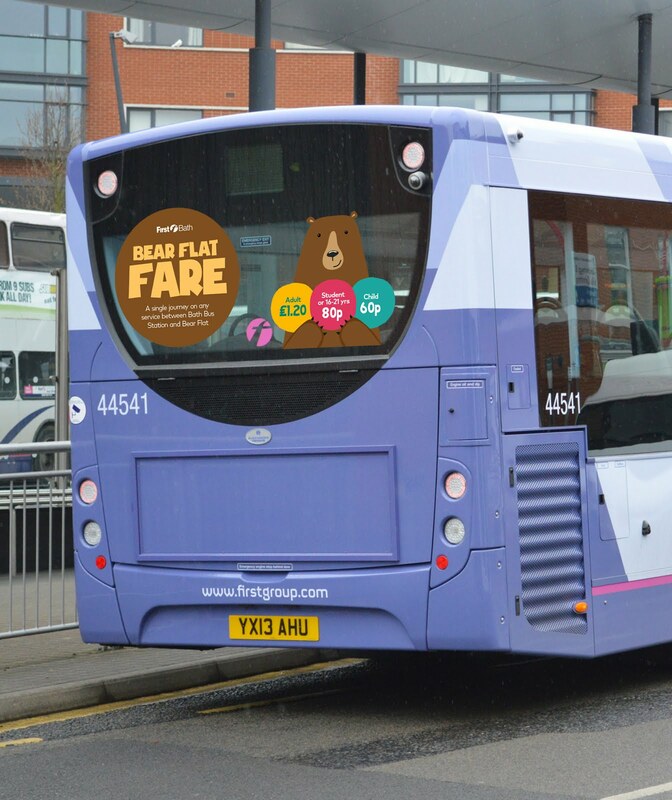 The campaign involved posters, leaflets, on-bus vinyls, social media and even a bear suit!